What's inside Sea Life Melbourne? Will I have to queue to get into SEA LIFE Melbourne? Can I bring a pet into SEA LIFE Melbourne? Can I take a pushchair or buggy into SEA LIFE Melbourne? Do you have wheelchairs and strollers for hire? Can I bring a camera into SEA LIFE Melbourne? The time you book is your time of arrival; you need to arrive during your selected time slot. This is so that we can stagger visits throughout the day. You are welcome to spend as long as you like in the centre. 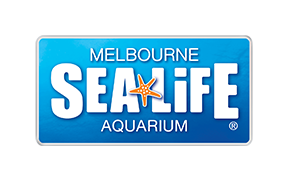 Where is SEA LIFE Melbourne Located?